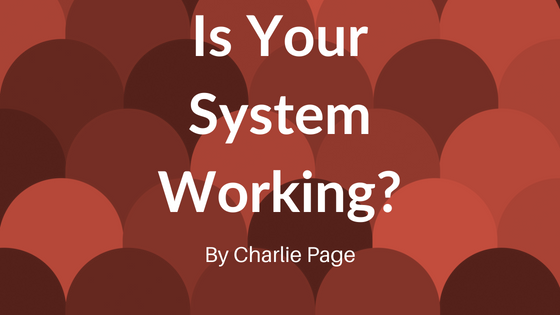 →Are You Working The System Or Trying To Beat The System? Are You Working The System Or Trying To Beat The System? Almost every day of my business life I hear from someone wanting to beat the system. Many of them have good reasons for wanting to find a shortcut. Some are in their late 70s and need success now. Some have tried everything and now want the "lottery ticket" experience. Others have believed the "get rich quick" lie and are wanting to buy something, do no work, sit back, and collect the checks. Only recently, a MAJOR online business opportunity was famously shut down by the FTC for making outrageous claims. Turns out their average buyer made less than $250 a year, despite their claims of instant "we close the sale for you" riches. So many people were hurt. Many were ruined financially and drained emotionally. Are you trying to work the system or beat the system? If you are trying to beat the system, to get the money without doing the work or having true expertise, I wish you well. But if you are trying to work the system, are committed to working and learning then know this ... success CAN come very quickly. And yes, this post is for you. You may be thinking "hold on there Charlie, you just said people can't get rich quickly and then said success can come very quickly. So which is it?" I speak to people all the time who have been trying to make money online for 2 years, 8 years, and even 15 years. All of them have lost considerable money. All of them were sincere in their desire to succeed. All of them were following the advice of some "guru". I also speak to, and work with, people who are succeeding online. Some are making a few hundred a month, others earning thousands, and still others earning tens of thousands every month. What do the successful people do that the unsuccessful people do not do? Successful people commit to a proven system and work the system. We see this played out in offline businesses every day. From the franchising model to lean manufacturing, people who succeed are generally not the trail blazers who are doing something never done before. In fact, many giants of business, like Warren Buffet, prefer "boring" businesses that just bring in the money day after day after day while providing necessary services. So all this thinking leads to one very logical question. What system should I follow? This is really the big question for most clients. Let's be real about this ... choosing can be hard. While it is true that there are some people who seem to be "naturally born" marketers, the truth is that our normal jobs offline just did not prepare us for succeeding online. But consider this ... to the best of my memory (and my notes) EVERY single client I have ever spoken to who was struggling was hopping between one system and another, trying to find success. In so many cases, too many to count, they made a good start but quit before success could be achieved. You see, no one is going to be wildly successful in their first 30 days. Or even their first 90 days. And the few who do succeed in short periods of time rarely sustain that success. This is why you see so many big-name marketers jumping from one company, or business, to another. Their poor customers, believing in them, blindly follow them from one business to another, all the time being hypnotized by the slick video and hyped-up sales letter. I'm not going to bore you with how long I have been online, or show you silly screenshots of my Clickbank account, or any of that. What I will do is this ... show you the exact map I use. 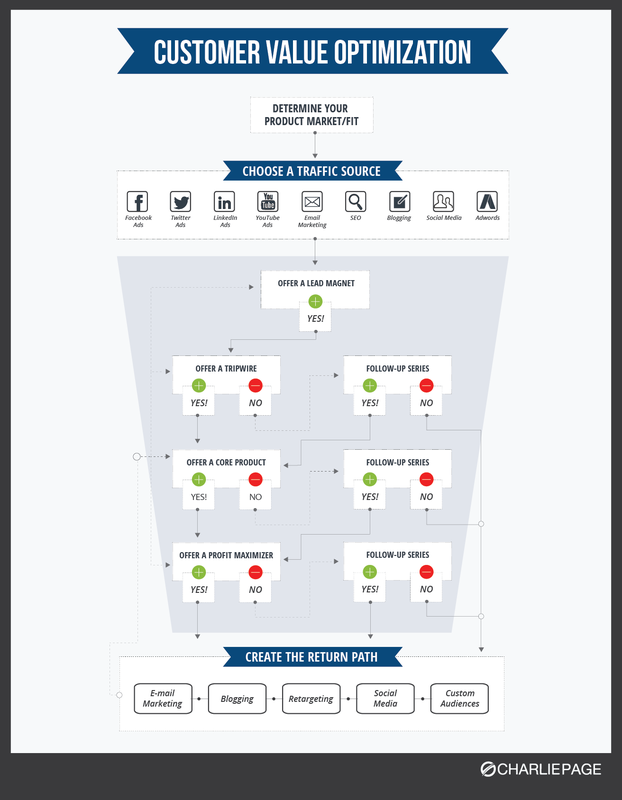 This is the system I use for all of my products and for all of my consulting clients too. It's a system anyone can do. It might look complicated but I'm talking about a blog and an email list as the foundational tools. You can do that. It's a system that works. I have seen companies, ranging from $300,000 a year in sales to $50,000,000 (50 million) a year in sales, use this exact system. I did my homework, and then some. During my evaluation period I called almost every "big name" I know (and I have been blessed to work with the best) and asked them about their system. And I tried everything. I am certified to teach this to others. I believe in this system so deeply that I committed a sizable chunk of money (and time) to earn a certification to teach and coach this. Take a look. I know at first it might seem like it has many moving parts. But once you see how it works, it becomes simplicity itself. In fact, there are only four steps. See if you can spot them. Would you like to learn about my system free? I hope you said yes, because this system can create success if you work it right. Durable success that does not fade with time. An automated selling system that works in any niche. A repeatable process that you can use over and over again. A system that does not cost an arm and a leg. Something you can understand and master with a little effort. If you do want to learn about this free, in a webinar format, look for an email coming from me soon. Better yet, write to me at support (support @ charliepage.com) and let me know that you want me to save you a seat. There is no sales pitch at the end. Yes, there will be a replay for those who register. It might just be the game changer you need. It was for me. That's it for now. I hope you find your system soon because having a system you can rely on, can be automated, and that works incredibly well, now that's a beautiful thing indeed!